As Sahara comes into her newfound witchy powers, she's about to discover that magic has its own set of perks -- and perils. For starters, should she be a good witch or a bad witch? And which of the two rival witches should she choose as her mentor? Paris is on the side of good. Abigail... not so much. Meanwhile, two men have entered her life... and her heart. Both have love on the mind, even as Sahara explores the addictive power of the dark side. Turns out, there's one evil mamma jamma on the loose... a witch of incalculable power. If Sahara could just learn her spells and find a magical spell book, she just might be the one to stop the coming evil. Easier said than done, especially when her heartstrings are being pulled by two hunky men, for two different reasons. 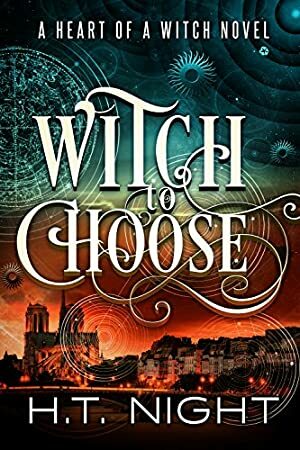 Book #1 in a spellbinding new series about a new witch who must choose a path to her powers... and her heart. Scroll up and click "Buy Now"! Happy Reading! We started tracking this book on September 28, 2013. The price of this book has changed 23 times in the past 2,033 days. The highest price to date was $3.99 last reached on October 25, 2015.